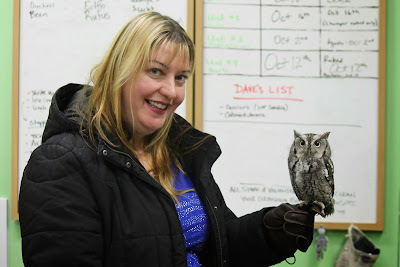 Catching up with "Echo", an Eastern Screech Owl. 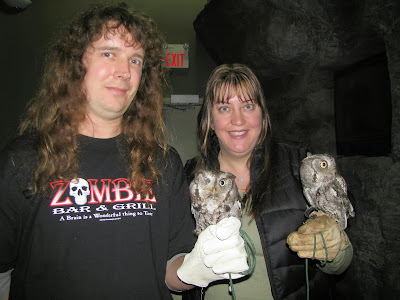 Rob and I have been going to Mountsberg Conservation Area since our first New Years Day together in 2005. We've also been doing their Raptor Encounters at least once a year since they introduced them in 2010. Yesterday, our first day of vacation, we were back again. We had invited friends to come with us, but didn't tell them where we were going or what we were doing, as I knew Andrea was going to be thrilled when she discovered the surprise. Turns out, we got some surprises of our own. 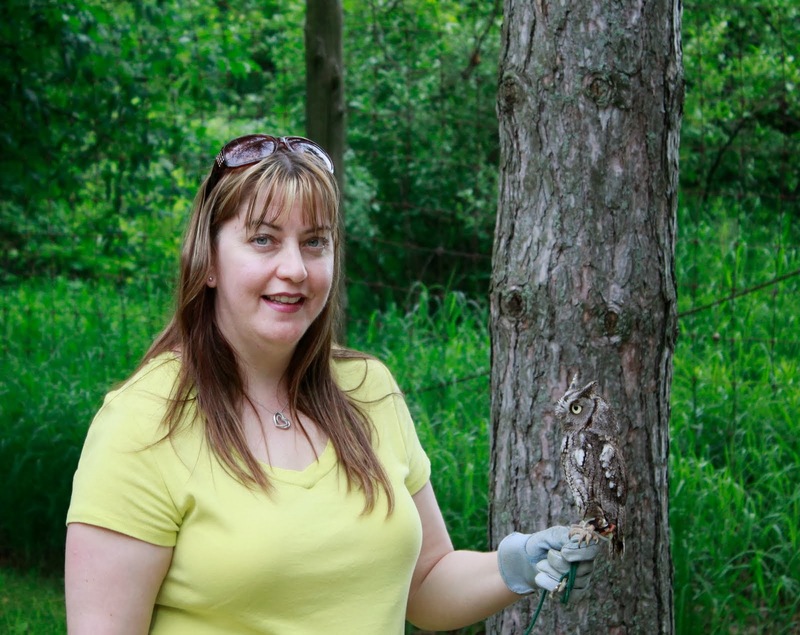 After walking the grounds a bit and seeing some of the raptors that call Mountsberg home, we headed in for our private raptor encounter. 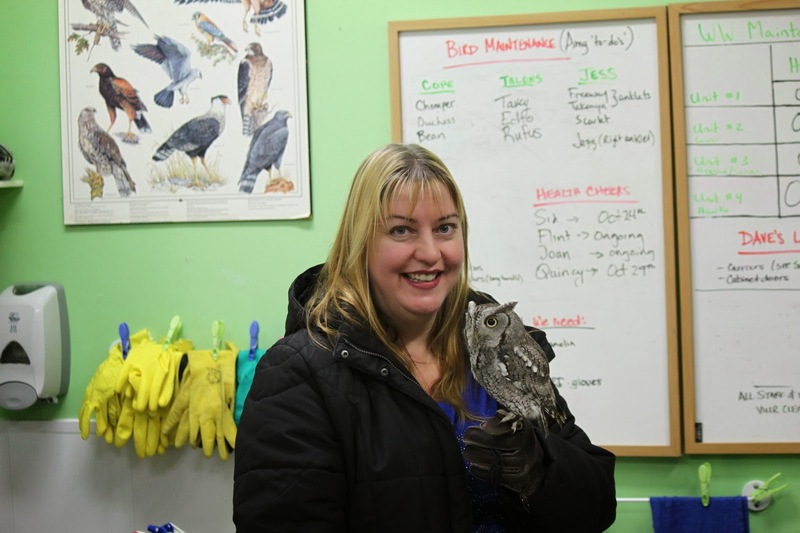 All of the birds that live at the raptor centre are injured or human imprinted and can't be returned to the wild. They are used for educational purposes. 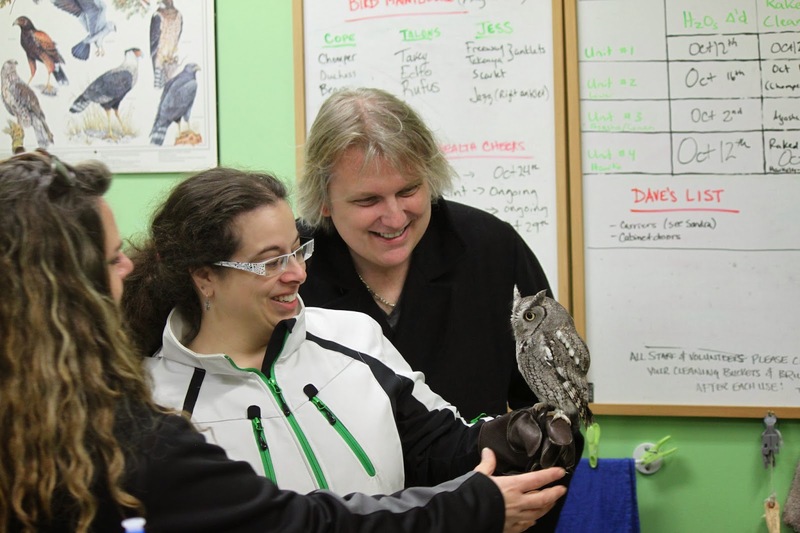 For us, going back for the raptor encounters every year is a way to "catch up" with everything that has been going on at the facility since our last visit, and is like visiting friends we don't see often. We always learn something new though and we always look forward to going. Yesterday was extra special as we got to introduce friends to the experience, saw a Loggerhead Shrike for the first time, and saw one of their Bald Eagles, Pawgwa, is now all grown up with a complete white head! It was so surprising to us, as we've watched her mature over the years. Only mature Bald Eagles have the white heads and it takes them about 5 years to mature. It was a great day for all of us! 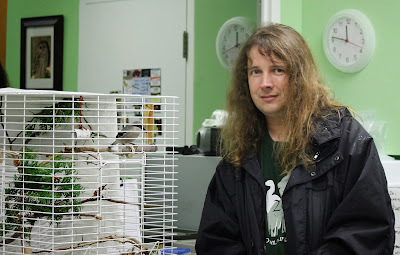 Rob with the Eastern Loggerhead Shrike. Andrea and Chris with Echo. Another shot of me and Echo. 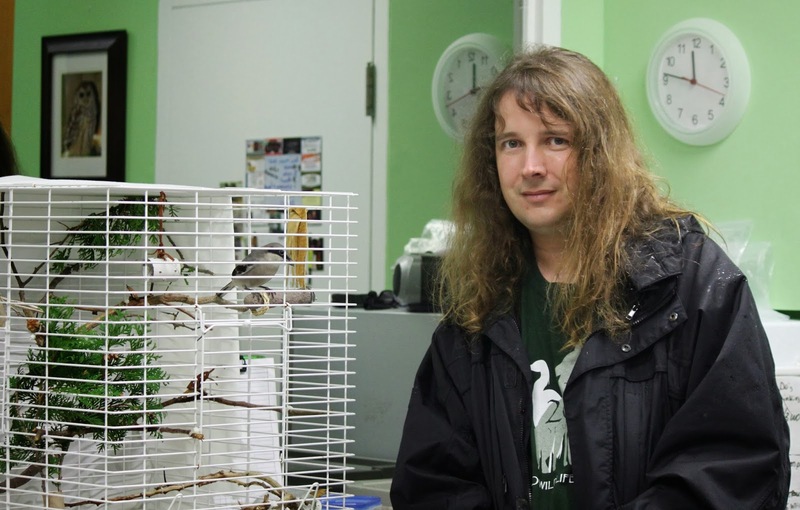 When I say going year after year is like visiting old friends, I don't just mean the handlers and the volunteers there, who teach us so much, I also mean the birds. Here are a couple shots from years past. 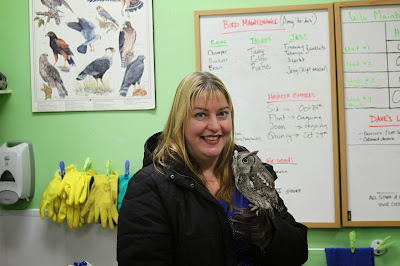 I highly recommend visiting Mountsberg Conservation Area and if your interested in raptors, the raptor encounter is an excellent and educational experience.